Option Trading – Science or Gambling? Traders focused in stocks, ETFs, and mutual funds may avoid options for several reasons: Perception of high risk, complexity of the market, dizzying levels of specialized jargon. These concerns are part of the learning curve and can be overcome – if traders look at options trading as science and not just gambling. Ask anyone experienced in the market who does not trade options, and you invariably will hear this belief expressed. 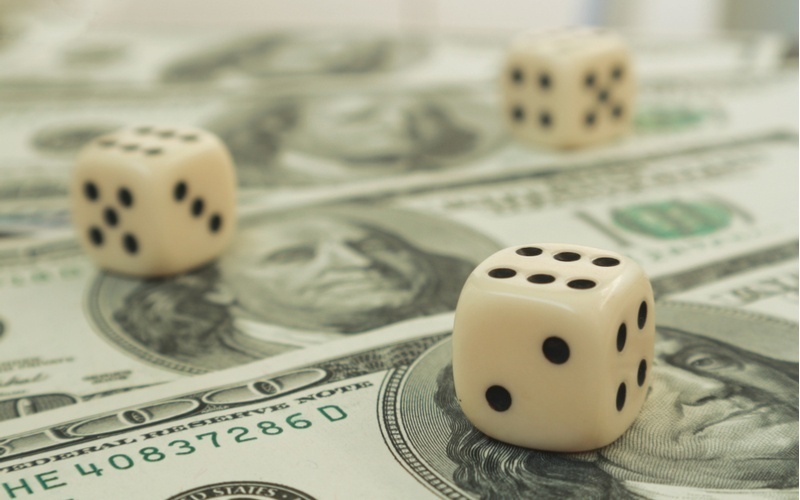 Trading options is high-risk and a form of gambling. A conservative trader would never put money at risk so recklessly. This widespread risk is seen not only among individual investors, but also among portfolio managers. In fact, many portfolios set limits on what the manager can trade, and options trading often is prohibited specifically. This is ironic considering the level of conservative options strategies available, versus many companies whose stocks can be traded in portfolios, but that represent far greater market risk. So where is the dividing line? What uses of options are merely forms of gambling, and what uses provide something of value, representing more of a science than a simple risk? Gambling means taking risk, attempting to beat the averages. Organized gambling is set up to favor the house, so winning means beating the averages. Many see options in exactly this way, just another game in the market casino. Many forms of options trading are just that, gambles. For example, the most basic strategy of buying calls or puts is a race against time and exposure to time decay. Profiting from simple long options is a gamble, but it must be qualified. As part of a swing trading strategy where timing is based on signals and confirmations, long options can be converted to science. Just as a blackjack player can shift the odds by counting cards, the long option trader can time trades favorably. Other gambling options include uncovered calls, short straddles and strangles, and any other combination involving short option exposure. There are plenty of high-risk strategies available to traders and these appeal to two types of traders. First is the speculator who believes it is possible to beat the averages (they usually don’t win). Second is the conservative investor who, despite the risk tolerance profile, betrays the conservative banner and takes unacceptable risks (they also don’t usually win). This experience – self-defined conservatives taking high risks – is where that bad reputation of options comes from, the retelling of bad experiences. Options have another side, and that is how they can be used scientifically, as part of an ordered system of risk management and timing. The timing element (part of swing trading, for example) is based on recognition of reversal signals and confirmation. By timing entry to a position based on the often exaggerated price movement of the underlying, traders can consistently profit from trading options. For example, immediately following an earnings surprise, the underlying price often moves in an exaggerated way, involving many more points than are justified by the unexpected news. This movement tends to self-correct through retracement, often on the same day. Within two to three days at the most, this exaggerated movement is mitigated. This presents an opportunity to the options trader willing to act as a contrarian. Another use of options – and one increasing in popularity – is as a risk hedge. Using carefully selected strategies, options can be used to protect equity positions in the portfolio. For example, after a price run-up, do you sell and take profits out of concern about a bearish reversal? Why sell if the company is fundamentally strong and you expect more growth? This is a dilemma. One of many solutions is the insurance put. By buying one put, you eliminate all market risk below the put’s strike (reduced by the cost of the put). For example, you bought stock at $42 per share and currently it is worth $55 per share. You are tempted to sell and take your $13 profit per share, but you still consider this a worthwhile investment. You can buy a 5-month 55-strike put for 6 ($600). This protects 7 points of your paper profit. The net breakeven with the put is $49 per share – 55 strike minus 6 points paid for the put. If the underlying price declines below $49 per share, market risk has been eliminated until expiration of the put. If it does decline, you can sell the put and take profits in the form of intrinsic value; or you can exercise the put and sell 100 shares at the strike. For example, the stock price falls to $47 per share. You exercise the put and sell shares at $55. Hedges can be far more involved than this most basic version, the insurance put. In analyzing vertical credit spreads, synthetics, and covered strangles, many conservative hedges can be designed to protect equity while providing added profits. Yes, options can be used as a form of gambling. But using them for timing of swing trades or as risk hedges adds great value, especially for conservative traders intent on protecting their capital.